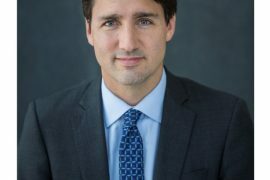 Richmond, B.C. 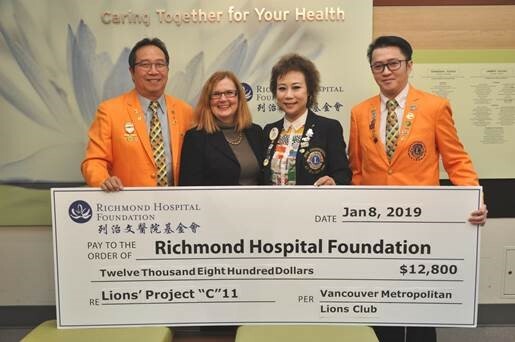 – The Vancouver Metropolitan Lions Club raised $12,800 in support of local health care in Richmond at their 11th Project “C” event, held at Continental Seafood Restaurant in Richmond on December 23, 2018. Celebrating their 20th anniversary, the Vancouver Metropolitan Lions Club held the Project “C” event, which is an annual banquet with a musical performance. At this past Project “C” event, singer Suzan G from Hong Kong performed. The $12,800 donation to Richmond Hospital Foundation was raised from banquet dinner sales, live auctions, raffle tickets, and through donations. “We are incredibly thankful for the continued leadership and generosity of the Vancouver Metropolitan Lions Club to help improve patient care at Richmond Hospital,” said Natalie Meixner, President and CEO, Richmond Hospital Foundation. 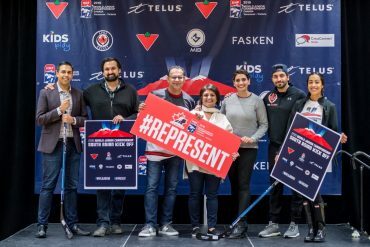 Year after year, the Vancouver Metropolitan Lions Club continues to make local health care in Richmond a priority through their generous donations, inspired by their belief that health care is important to everyone and that most people will need the services of the hospital at some point in their lives. Over 30 years, Richmond Hospital Foundation has raised over $80 million to help purchase vital medical equipment, improve patient care services and upgrade facilities at Richmond Hospital and our community of care in Richmond.